Just 800 meters from the centre of Otranto, one of the most famous seaside resorts in Salento, is the “Basiliani” hotel. 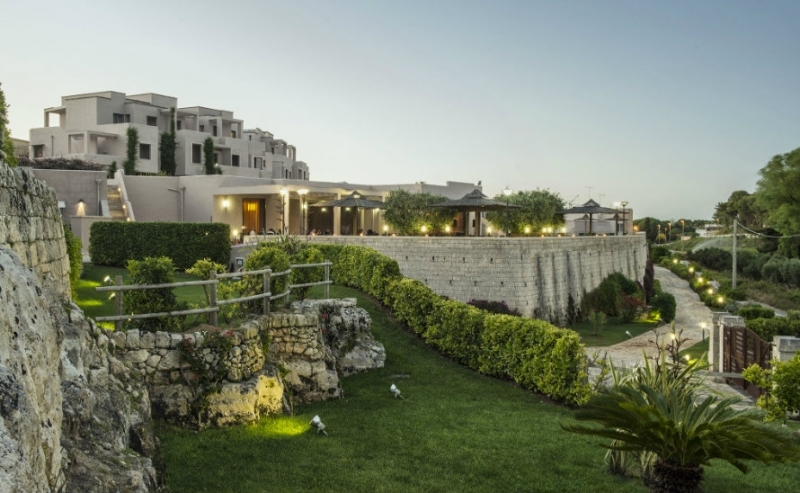 Constructed from the typical local stone with large pergolas and terraces, the hotel is surrounded by paths and avenues. It has a wonderful wellness center “Il Melograno”, the largest in Salento. Thanks to its strategic position, the guests will have the opportunity to visit the nearby beauty spots, among them: the bauxite quarry, the historic centre of Otranto with its castle and medieval Cathedral, the long white beaches of Alimini, the Punta Palascìa lighthouse, the easternmost point of Italy and Lecce, the capital of Italian Baroque. The private beach Lido Balnearea – Alimini with beach umbrellas and sun beds, is reachable by shuttle service at fixed times.